Medical mistakes happen more frequently than you may think. In fact, when you combine surgical errors with prescription mistakes, inappropriate treatments, and misdiagnosis incidents, medical mistakes are the third leading cause of death in the United States. That is the conclusion of research conducted by Dr. Martin Makary and Dr. Michael Daniel of Johns Hopkins University and published in the British Medical Journal in 2016. The researchers tell us that at least 250,000 fatalities every year in the U.S. can be linked to medical mistakes. Can a Chicago medical malpractice lawyer help? And what if the doctor making the medical mistake is a robot? HOW COMMON ARE ROBOTS AND “AI” IN THE MEDICAL FIELD TODAY? Robotic surgery has been available in the U.S. since 1992, and in the year 2000, the Food and Drug Administration approved the Da Vinci Surgical System for a variety of minimally invasive surgical procedures. Artificial intelligence (AI) systems are now a routine part of the practice of medicine. AI systems, for example, identify heart-attack risks and certain kinds of cancer. But robots and computers are made by humans, so they make mistakes just like we do. Malfunctioning and defective technology raises the liability question – who will be held liable if a medical machine causes a patient to be seriously injured? Artificial intelligence systems effectively help doctors identify and diagnose particular health risks and conditions. Still, an AI system is no replacement for a healthcare provider’s hands-on training and experience. IF TECHNOLOGY IS INVOLVED IN MEDICAL MALPRACTICE, WHO’S LIABLE? Because medical technology is merely intended to enhance and complement a doctor’s diagnosis and recommendations, if a medical error is made, liability will almost certainly fall on the healthcare provider rather than the medical technology or its creators or manufacturers. However, if a technology manufacturer produces and distributes a defective product, recognizing a technical defect may be beyond the healthcare provider’s expertise, and liability in such a case may fall back on the manufacturer of the technology. For instance, if a technology for reading blood pressure levels malfunctions and jeopardizes a patient’s health, that technology’s manufacturer would probably be deemed liable. WHAT IS THE RESPONSIBILITY OF HEALTHCARE PROVIDERS? However, as robots and AI systems are increasingly used by healthcare providers, those providers must do everything that is reasonably possible to ensure that medical technologies are safe for their patients. If you need surgery, is robotic surgery right for you? To answer that question accurately, the first thing you need to do is to ignore the marketing. Overhyped promotional talk regarding the safety and value of robotic surgery may be misleading. The second thing you need to do is to have a talk with your surgeon. Some patients aren’t even told that a robot will be used in a surgical procedure. Take all of the time you need to have every question answered and every concern addressed before you undergo any surgical procedure. Also, make sure that you’ve selected the right surgeon. Learn what you can about a surgeon online, and try to find out what the surgeon’s former patients say. Ask about the surgeon’s background and his or her experience with robotic procedures. WHAT IS THE COST OF MEDICAL MALPRACTICE? Medical malpractice costs more than $3.6 billion every year in the U.S. People already sick or injured are hurt – every day – by negligent healthcare providers. Sometimes those injuries are calamitous, permanently disabling, or fatal. It’s always smart to keep records and make notes of your visits to the doctor, your treatments, and your prescriptions. Make and securely store copies of any insurance and medical documents and records related to any surgical procedure – robotic or otherwise. In the greater Chicago area, if you believe that you have been victimized by medical malpractice – a misdiagnosis, a prescription error, or a surgical mistake – discuss your rights and options immediately with an experienced Chicago medical malpractice attorney. HOW WILL A MEDICAL MALPRACTICE LAWYER HELP YOU? 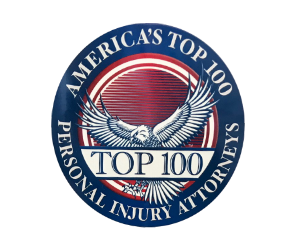 Your attorney will investigate your injury or the decline in your health to determine who should be held accountable: your doctor, the medical facility, a pharmaceutical company, a manufacturer of medical technology, or some combination of those parties. A good medical malpractice lawyer may be able to win compensation for your post-injury medical expenses, lost income, and all related losses and damages. You’ll need to act quickly. Under Illinois law – with only narrow exceptions – a patient has two years from the date of the injury to file a medical malpractice lawsuit. Don’t wait two years and then frantically try to file a lawsuit at the last minute. If you need to be compensated for medical malpractice, talk to a medical malpractice attorney now. WHAT WILL IT COST A MEDICAL MALPRACTICE VICTIM TO SEEK JUSTICE? How much, you might wonder, is an attorney going to cost? If you’ve been paying medical bills or even just deductibles, will you be able to afford an attorney? Medical malpractice cases are sometimes David and Goliath cases – a large hospital chain or pharmaceutical corporation, with its tremendous resources, going against a “regular” working person or retiree. But by operating on a contingent fee basis, the medical malpractice attorneys in Illinois level the playing field so that everyone can have access to – and have their day in – court. If you and your attorney agree to move ahead with legal action, you’ll pay no attorney’s fees until your attorney recovers a settlement or verdict on your behalf. Difficult medical terms, complex legal procedures, and mountains of paperwork are standard in medical malpractice cases, but an experienced Chicago medical malpractice attorney can handle your case and resolve your claim so that you can move ahead constructively with your life. HOW SHOULD HEALTHCARE PROVIDERS HANDLE MEDICAL TECHNOLOGY? Surgical robots are here to stay. But to avoid serious surgical mistakes, healthcare providers must be vigilant. They need to routinely test and maintain the technology they use, and they must remember that even the best technology – because it’s created by humans – will never be perfect. You should understand that while a simple medical mistake may not constitute medical malpractice, an injury or a decline in your health caused by the failure to provide appropriate care probably does constitute medical malpractice, and if you are a victim, you deserve justice. If you have been injured or your health has declined, and you suspect that the reason is medical malpractice, speak at once to a medical malpractice attorney. A lawyer’s help is your right.